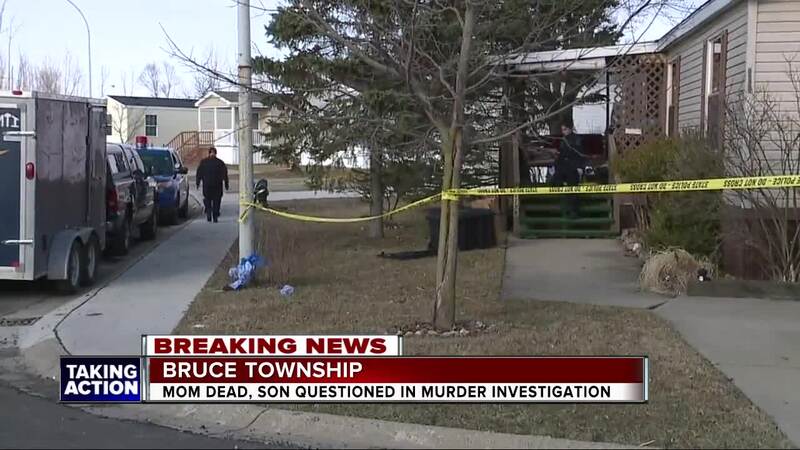 Michigan State Police are confirming they are investigating the homicide of a woman in Bruce Township in northern Macomb County. 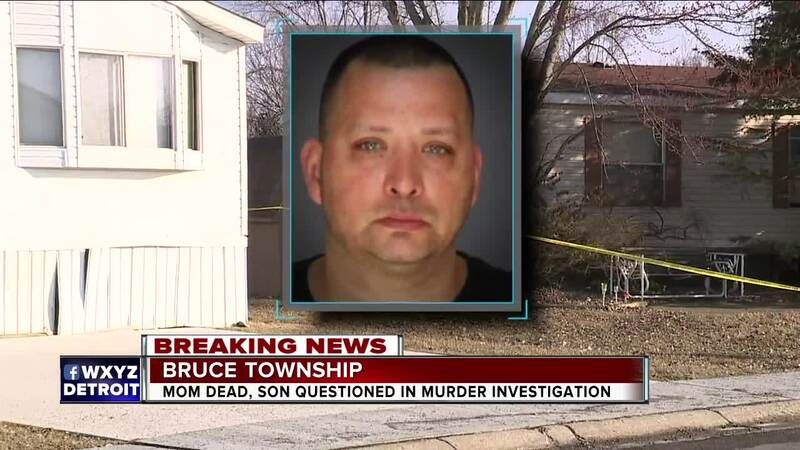 BRUCE TOWNSHIP, Mich. (WXYZ) — Michigan State Police are confirming they are investigating the homicide of a woman in Bruce Township in northern Macomb County. Lt. Michael Shaw says they got a call of a deceased woman and are questioning the person who made the call. The woman was found in her mobile home in Springbrook Estates near Van Dyke and 33 Mile Road. Police are not releasing any information on the names of the people involved or why they are calling it suspicious. Neighbors are telling 7 Action News the woman is Linda Castillo and her son Chris was arrested this morning. The neighbors say Linda lived there for several years and cared for her son, who lived next door. The neighbors have set up a GoFundMe account to help pay for funeral expenses. Public records show Chris Castillo is 42 and his mother was 63. The neighbors say the woman may have been beaten. Police can hold a suspect for up to 72 hours in a suspected murder case. That means charges don’t have to be issued until Monday.